I know that it's not great, but I'm still learning and practicing. The first vector took maybe fifteen minutes, it wasn't hard since the entire thing was in black, but the second one was hard because I had to eyeball every single color and change the colors for some since they were affected by the moonlight in the background. The 2nd took maybe at least fifteen hours and it's not that good either. I was trying to go for the dark feel and bring out only the moon's brightness, and I really hate the wall because it looks horrible. Please tell me what you think of it and how I could make it better. real nice work here ^^ especially like the vector u did of loki in his wonged form.... now i can haf a wall that matches one of my fave avs *hugz* thanks again for the good job! nice one... 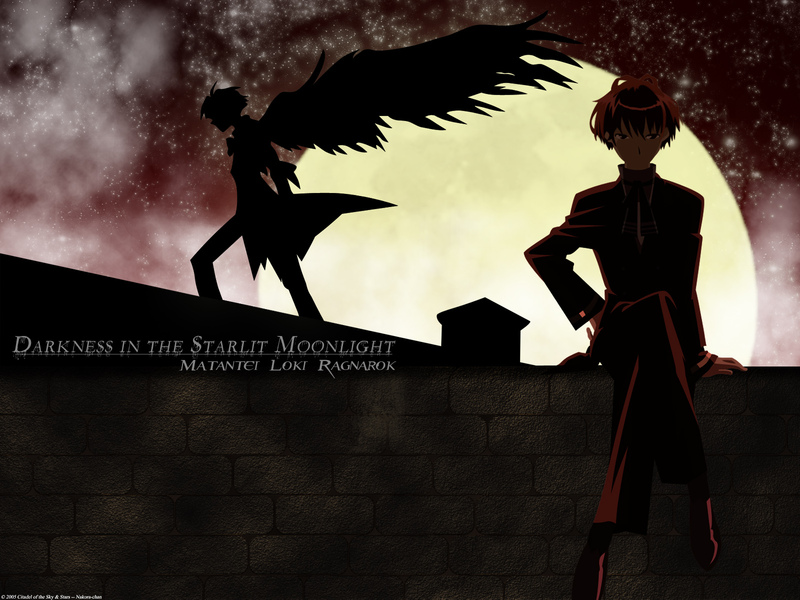 I love wings and the night sky... especially with the moon... so this appeals to me... great job! It's nice, but I find it hard to tell which character is the focus of this wall. Personnally, I'd keep Loki's silhouette with the wings and drop the other, as I think it more "intersting" visually. It`s a good job and I like it.Thank you. Still sounds like you put a lot of good effort into this...keep it up!